Time flies. 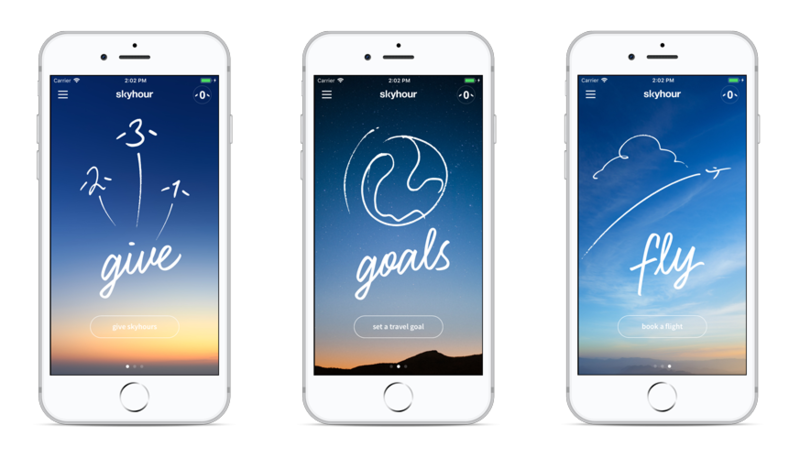 Make it count with our new air travel partner, Skyhour. Premier Live members who sign up for a Skyhour account and add promo code PREMIER100 (follow instructions below) will receive five (5) skyhours for every one hundred (100) skyhours flown. Enjoy the extra time in the sky and Be Your Passion! Skyhour is a platform that enables users to carry an air travel balance, give skyhours, set travel goals & book worldwide on over 350 airlines. 1 skyhour represents 1 hour of flight time at a fixed rate of $60 per hour. The flight cost is presented in skyhours and reflects the announced times of the selected trip. You then use your skyhour balance to pay for the booking. These terms and conditions apply to the Skyhour X Premier Live Promotional Code (hereinafter, “Promo Code”) distributed on https://premierlive.com/skyhour/ (“Offer”). To participate in this Offer, you must be: (i) a legal resident of the fifty (50) United States or the District of Columbia and (ii) 18 years of age or older. Offer Period: The Offer will begin on August 22, 2018 and end on August 22, 2020 (“Offer Period”). Limit one (1) Promo Code per person. Promo Code is redeemable for five (5) Skyhours for every one hundred (100) Skyhours redeemed through Skyhour services for air travel during the Offer Period. Approximate retail value of Promo Code: $300.00. You will be required to have an active Skyhour Member Account in good standing in order to redeem the Promo Code. Skyhour membership is free. Redemption of Promo Code is subject to Skyhour terms and conditions set forth at http://www.skyhour.com/terms. Once the Promo Code is applied to your Skyhour Member Account, for every one hundred (100) Skyhours redeemed through Skyhour services for air travel during the Offer Period, five (5) Skyhours will be instantly deposited into your Skyhour Member Account. Promo Codes not used by August 22, 2020 will be void. Skyhour reserves the right to terminate this Offer at any time. Promo Code may not be combined with any other discount or offer. No substitution or cash redemptions allowed. Subject to all federal and state laws and restrictions. Misuse of Promo Code constitutes fraud. Skyhour reserves the right to terminate this Offer at any time. Limit one (1) Skyhour Member Account per person/email address. If it is discovered that you have created multiple Skyhour Member Accounts by using multiple email addresses or identities, all of your Skyhour Member Accounts may be void at Skyhour’s discretion. By registering, you agree to maintain the confidentiality of your password and Skyhour Member Account, and that you are fully responsible for all activities that occur under your password or Skyhour Member Account. Promo Codes cannot be combined with any other Skyhour Member Account. Promo Code is subject to verification at the sole discretion of Skyhour. Promo Code may not be sold, traded, bartered, assigned or transferred to or shared with a third party or auctioned through an online auction site or otherwise. Skyhour may, in its sole and absolute discretion, determine any Promo Code to be void for any reason including but not limited to the following: Promo Code is obtained through unauthorized or illegitimate sources/channels, including purchased or obtained at a live auction; Promo Code is not verified or recognized as a valid Promo Code; Promo Code is determined to be entered and used in excess of the stated limitation; Promo Code is incorrectly or incompletely entered or submitted; or Promo Code contains printing or production errors, or any errors in any way. Employees of Skyhour, each of their respective subsidiaries, affiliates, divisions, advertising, production and promotion agencies, and the immediate family members (spouses, parents, children, siblings and their spouses) or persons living in the same households of each of the above are not eligible to participate in this Offer. Void where prohibited by law, taxed or restricted. Skyhour is not responsible for (i) late, lost, delayed, stolen, misdirected, incomplete, unreadable, inaccurate, garbled or unintelligible transmissions; (ii) telephone system, telephone or computer hardware, software or other technical or computer malfunctions, lost connections, disconnections, delays or mechanical errors; (iii) data corruption, theft, destruction, unauthorized access to or alteration of transmissions; or (iv) printing or production errors or errors in any way. Skyhour reserves the right, in its sole discretion, to cancel, modify or suspend this Offer should a virus, bug, computer problem, unauthorized intervention or other causes which corrupt or impair the security and fairness of the Offer. By participating, participants agree to release, defend, indemnify and hold harmless Skyhour, each of their respective subsidiaries, affiliates, divisions, advertising, production and promotion agencies from and against any and all liability claims or actions of any kind whatsoever (however named or described) for injuries, death, damages or losses to persons or property which may be sustained in connection with the Offer. Skyhour’s failure to exercise or enforce any right or provision of these Terms and Conditions shall not constitute a waiver of such right or provision unless acknowledged and agreed to by Skyhour in writing. Skyhour WeWork, 524 Broadway, New York, NY 10012.